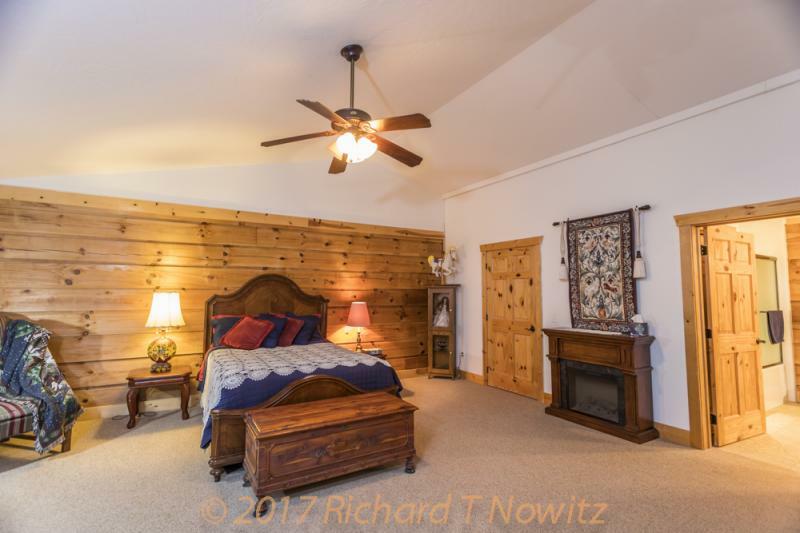 All rooms are equipped with fireplace, heat/air conditioning, satellite TV and free wireless internet service; beds have luxurious memory foam mattress toppers. A kitchenette in the loft has tea, coffee, and a mini fridge available at all times. 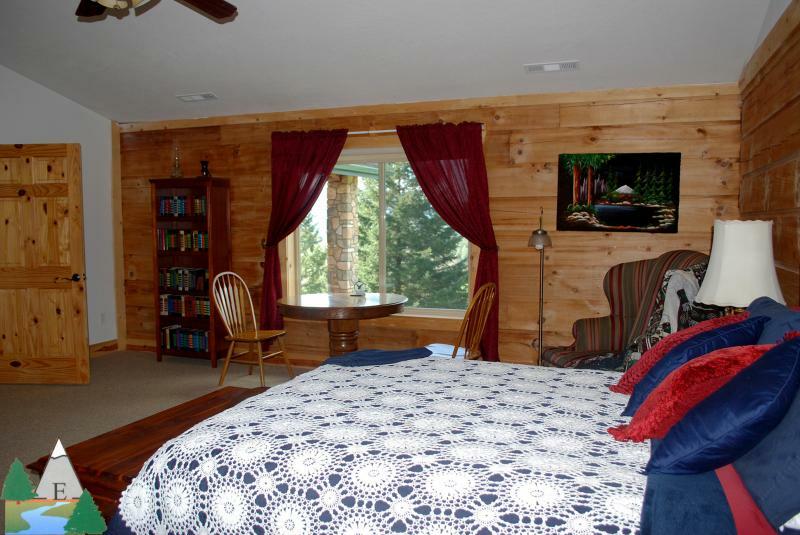 There is a large loft area for guests to enjoy. 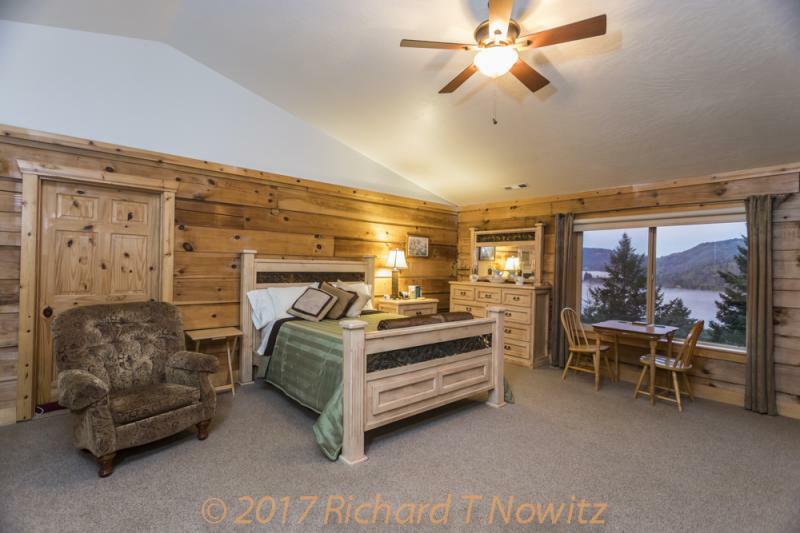 Comfortable couches with inviting views of the upper pastures are a great place to relax and read a book or watch the big screen TV in front of the electric fireplace, or head downstairs and curl up on the couch in front of a cozy wood fire. A hearty breakfast will be served between 8 am and 10 am, let us know your favorite breakfast food choices or try one of our family favorites. If you have dietary restrictions please let us know in advance so we can accomodate your needs. Check in time - after 3 pm - 9:00 pm. Check out time - 11:00 am. A 24 hr advance registration is appreciated.﻿ Please call for late arrivals. Ask about special pricing for longer stays and Family groups. The Green Room is a spacious room (20' x 20') decorated in a relaxing mint green and chocolate brown. The electric fireplace provides a cozy ambience in the evenings. 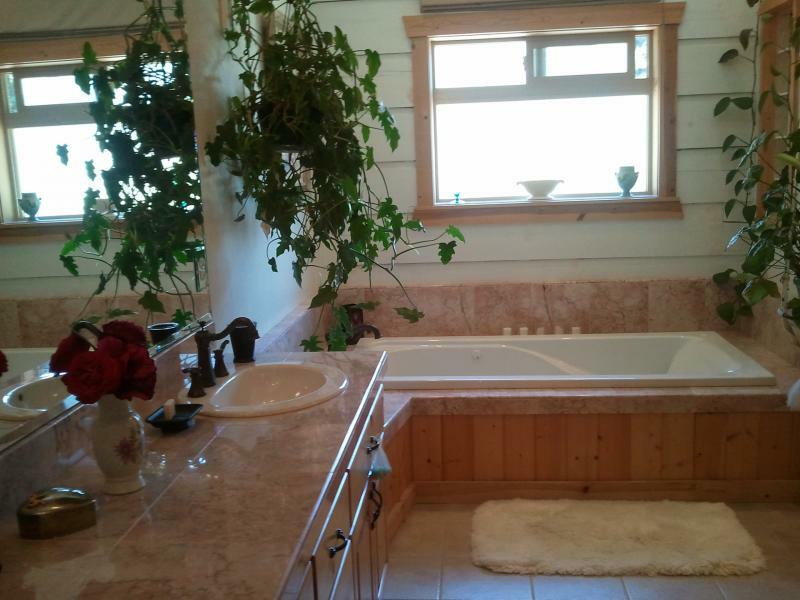 The room also has its own en-suite bathroom with a tub/shower combination. A smaller room (10' x 10') is conveniently attached to the Green Room. It has two twin beds for those with families. 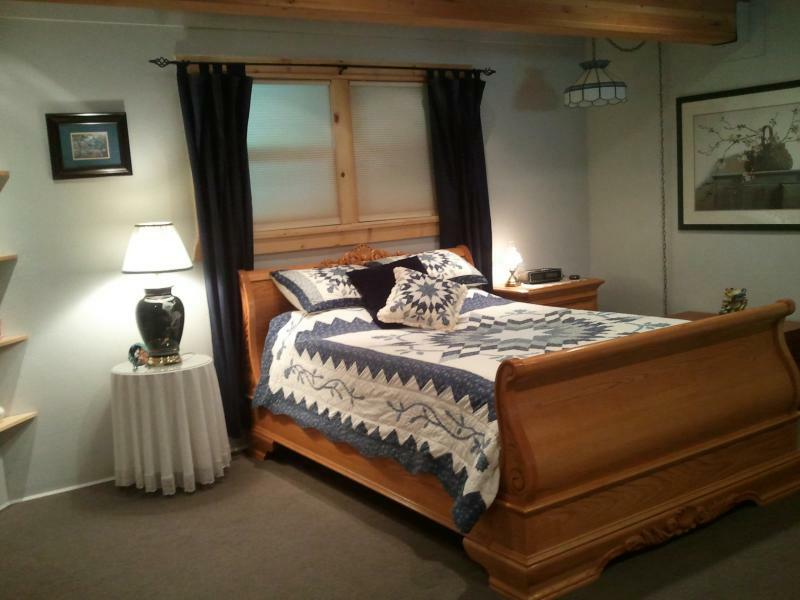 The Blue Room is a wonderfully spacious room (20' x 20') decorated in navy blue, white and burgundy. The electric fireplace provides a cozy ambience in the evenings. The room has its own en-suite bathroom with a tub/shower combination. 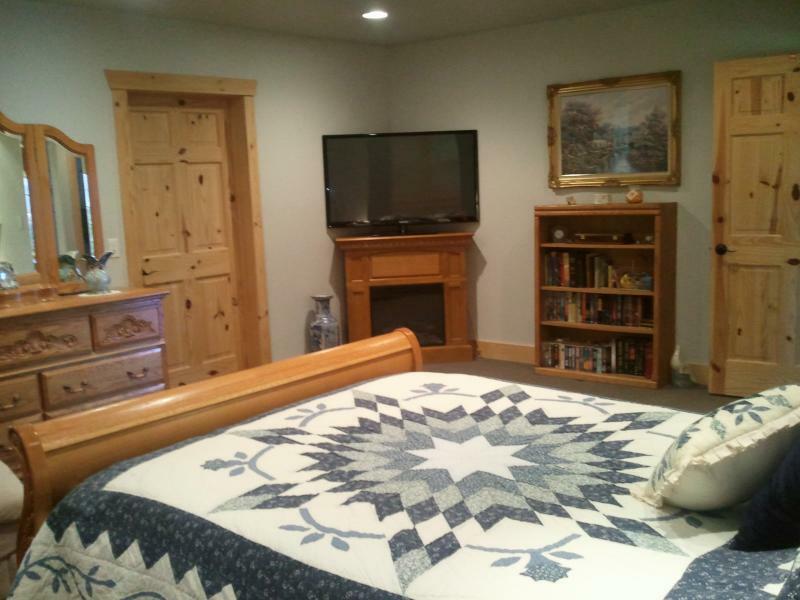 A smaller room (10' x 10') is conveniently attached to the Blue Room. It has Full size futon for those with families or an extra person. 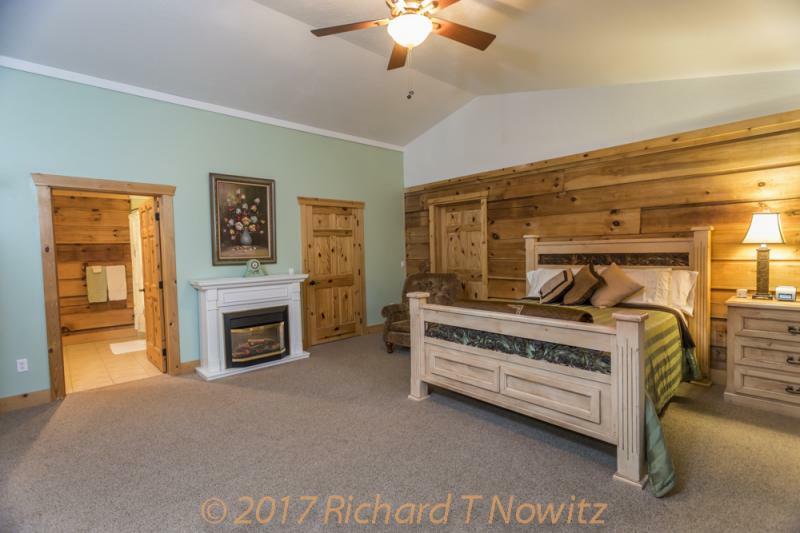 ﻿This luxury suite is furnished with a Custom Queen Vintage Oak Sleigh Bed and Dresser and corner fireplace. The sumptious bed has a heavenly soft memory foam mattress topper. A large screen TV sits on the corner electric fireplace. 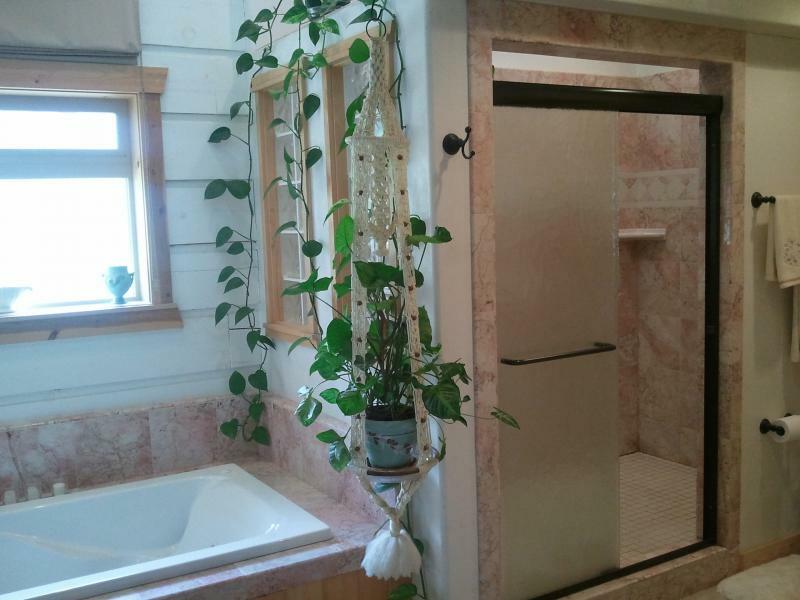 Built-in ceiling reading lights invite a leisurely evening in bed with a good book or relax in the chaise lounge in front of the fireplace.The marble and tile bathroom with a huge jetted tub and double shower and rain head has hanging plants resembling a bower. Enjoy the private covered porch area with a propane firepit just outside the sliding glass doors.